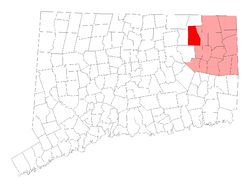 Our North Windham, CT pediatric dentistry office is just 10 miles south of Ashford, CT. This makes us a convenient location to to make us your pediatric dentistry home. With the consumption of sugary drinks and starchy foods, cavity rates are rising in young children. We believe it is important to teach them the fundamentals of good oral care from as early an age as possible. 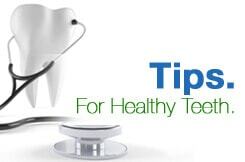 We often speak on the topic at local schools to promote preventive dental care in young people. Teaching kids how to brush the right way and to floss their teeth daily sets them up for good habits that will keep their smiles bright and healthy through the years, which is exactly what we love to see. The advantage of CT Pediatric Dentistry is that we specialize in only treating children. Our dentists attended several years of post-dental school to learn valuable skills in dealing especially with children. Our kid-friendly environment puts them at ease, so that they don't dread a trip to their dentist. We want to build a relationship with you and your family so that we can instill wise practices in young people, keeping their teeth strong and healthy. We offer all the services you'd expect from a dental clinic, with a special focus on children and teens. In addition to preventive care like check-ups, X-rays, and fluoride treatments, we are an excellent venue for a child's restorative or extraction services. Based on a relationship of trust and friendliness, we have a way with children that helps them see that there's nothing to be afraid of when oral surgery is necessary. We recommend bringing a child to see us as soon as they have their first tooth, and twice a year after for regular examinations. We also offer cosmetic services to Ashford, Connecticut young people to mend broken teeth or brighten teenage smiles, and in addition to that, we always have a doctor on call in case of an emergency in the middle of the night. We have an after-hours hotline for your convenience in the event of a qualifying dental emergency. Call us at 860-523-4213 in the unfortunate event that your child requires immediate dental care. Otherwise, please give us a call at 860-456-0506 to make an appointment to bring your child in for an appointment.